I grew up cringing at those comically annoying radio spots by Tom Shane (my friend in the diamond business! ), who guaranteed that I would not, could not, find a better diamond at a lower price. Likewise, in ubiquitous Men’s Wearhouse spots, company president George Zimmer sought to convince men across the country that they were going to like the way they looked—“I guarantee it”. 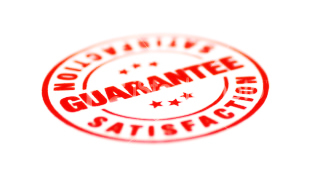 I began pondering guarantees recently when in the course of a single day I received separate emails from two dog owners, both describing complex and deep-seated behavioral problems, asking what sort of guarantees I offered. Here’s what I told them: Dogs are animals, multifaceted beings whose rich emotional and mental lives are affected by as many variables as are humans, and that while we’ve developed scientifically-sound methods for canine behavior modification, the only guarantees in life are death and taxes—and ostensibly diamonds and men’s suits. Our toolkit includes positive reinforcement and clickers, desensitization and counterconditioning (DSCC), and more behavior modification acronyms (BAT, CAT and LAT, to name but a few) than you can shake a stick at. The good new is that, with a targeted, science-based plan, canine behavior issues can be addressed, managed and mitigated, and frequently entirely solved. The not-so-good news is that, well, there are no guarantees. While we know much about how to effect change, each and every dog is a singular individual, with unique genes and experiences, including in utero environment, early socialization (or the lack thereof), the timing of weaning and at what stage a puppy is separated from the mother, and countless other factors that influence behavior. In our modern world we exert far more control over daily existence than ever before in human history, and we sometimes, understandably, desire the same level of control over our animal companions. We download apps at the touch of a button to order dinner to be delivered just so. We control the temperature in our homes with the turn of a knob, and access the enormity of human knowledge with the flick of a finger. Unfortunately, perhaps it’s also easier than ever to give up too soon on a dog that does not behave exactly as we wish, and maybe this is one reason shelters from coast to coast are bursting at the seams: We want what we want, guarantees and all. I certainly understand the inclination to want guaranteed results, but remedying behavior problems, be they canine or human, is rarely as straightforward as we’d like. Let’s say you’d really like your teenager to study more and spend less time playing video games. Would you send your son to the school counselor and demand that she modify his psyche to flip his most basic motivators? Hopefully not! But you could use positive reinforcement to influence his behavior by, for example, allowing him one hour of gaming for every hour spent studying, then perhaps offering him a car in exchange for a senior year of straight As—what we refer to in the dog training world as a “jackpot”. One heartwrenching frustration I share with my dog training colleagues is that many behavior problems could be avoided, or at least minimized, by early puppy socialization. Those scientific advances I spoke of earlier have established clearly delineated stages of cognitive development, information we can use to directly affect life-long behaviors. I often hear distraught owners explain their rescue dog’s aggression (towards men, crying babies, skateboards, buses, other dogs) as “obviously” being the result of abuse, when it is far more likely the result of neglect, including a lack of early exposure to the things he now finds scary. While formulating a potential behavior modification program, I often secretly, silently wish for a time machine to take the dog back to 8-weeks old, to fully expose him to all the things that fire up his reactivity (a word I generally prefer over aggression.) If he had been repeated exposed to the objects of his reactivity during the “fear impact/second socialization” period of cognitive development (8 – 18 weeks), you’d likely have an entirely different set of behaviors, rooted less in fear and more in tolerance and confidence. With a time machine to puppy socials past, I might follow in the footsteps of Tom Shane and the Men’s Wearhouse and offer guaranteed results. I would of course still be bound by the myriad other factors that affect behavior. While there are no time machines on the horizon, we do have a path forward in most cases of behavior problems. 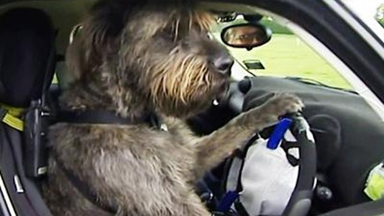 Thousands of dogs and their owners have benefited from modern behavior modification methods. We now know how to slowly desensitize a dog with separation anxiety to being alone, for example, and how to countercondition fears to thunderstorms, children, men with hats and countless other reactivity triggers. Potty training is now more of a science than an art, and we know how to make basic obedience training—sit, down, stay, come—fun and exciting for canines and their human handlers alike. I have observed extraordinary transformation in dog behavior employing these techniques. And yet, and yet… I have otherwise encountered dogs so impaired by nature and nurture as to appear beyond rehabilitation. These heartbreaking cases might thrive in a particular environment, for example, a rural home or farm with few interactions with people or other dogs, but might never achieve harmony in an urban location. Such is the case sometimes with dogs rescued from shelters. The new owners quickly discover alarming behaviors, and these folks are often the ones desperate for guaranteed fixes. Thankfully these discouraging cases are relatively rare. The intent of this article is not to discourage, but rather to provide perspective. Dog owners with realistic expectations, perseverance and commitment, armed with the latest knowledge (and perhaps an experienced trainer) have a very good chance indeed of improving their lot and their dog’s alike. Most evenings as we settle down to read or watch TV, Jim or I give Otis something to chew. She has many favorites from what I call the “carnage aisle” of the pet store, such as beef kneecaps, bully sticks, and marrowbones. But before Otis gets hever r nightly chew treat, I always have her perform one or two of her many tricks, such as rolling oor weaving figure 8s between my legs. I then have her sit/stay while I hide the chew treat and release her to sniff it out. Otis finds all of this oh so fun and engaging. She then lies happily at my feet, gnawing away at the item of the evening. Click here to continue reading on the Bay Woof website. 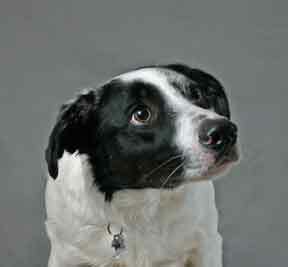 The researchers demonstrated conclusively that there is a very high degree of behavior variation within each dog breed. 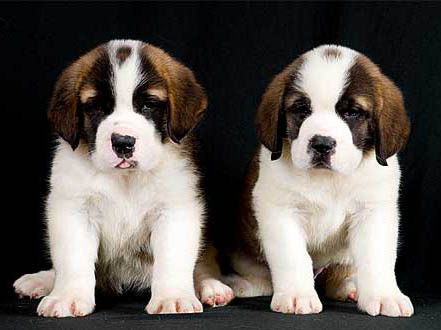 There are many facets in addition to genes that go into constructing the temperament of any given dog, including maternal nutrition during gestation, the birth process, interaction with siblings (or a lack of siblings), and events early in life. The problem with my caller’s assertion about the ever-gentle Lab is that not all Labs are the same any more than all people are the same. Early intentional breeding by humans focused on function—hunting or ratting, for example—rather than the visible ascetics that are the focus of today’s breed standards (often to deleterious effect.) Dogs are not machines but rather animals with all the variability and chance inherent in, well, heredity. Normal canine communication often appears to humans to be “aggressive” when in fact the apparent ferocity may simply be a dog clearly making her point, like a human couple having a heated argument. 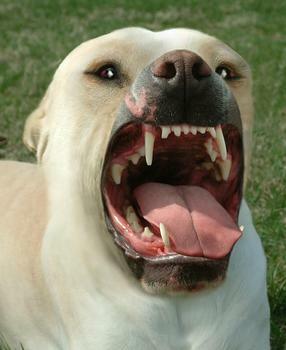 My mutt Otis, for instance, is by no means naturally aggressive. In fact, as a young puppy she was quite timid and submissive. But if we’re playing on the beach and another dog tries to take her ball, she will growl and bark and chase them away. Someone who does not understand dog language might say that Otis is being “aggressive”. I would counter that she is clearly telling the other dog to leave her resource (the ball) alone. If the dog has been well-socialized, he will understand her point, leave the ball and mind his business; if not, he might misunderstand her communication, persist in his rudeness and escalate the encounter. These sorts of misunderstandings are the type that can usually (but not always!) be avoided by early socialization to other puppies, when the nuances of dog “language” are practiced and mastered. As for effects of on-going training and management, many behavior issues can be improved with training that is consistent and fair. If your dog is leash-reactive towards other dogs, there are steps that can be taken to mitigate this issue. The same goes for separation distress, leash pulling and the like. But if, for instance, your dog never met a child until he was a year old and shows fearful aggression toward the first one he meets, you will probably never be able fully relax around small children. So, a pit bull can be the goofiest, sweetest dog you ever met, and a Golden Retriever might be the proverbial wolf in sheep’s clothing. My job as a trainer is to guide people through behavior modification programs when they have a good chance of success. But I also look to provide context and tools for management when training alone cannot ensure the safety of all affiliated people and dogs. Regardless, whether through responsible breeding, socialization, training or management, the goal is a happy, healthy dog who understands how to best get along with humans and other beasts in this man-made world we share. Pioneered in the 1960’s by marine mammal trainers, clicker training solved the problem of how to clearly communicate desired behaviors from a distance. For obvious reasons it’s challenging to reward a dolphin when he’s in the water and the trainer is not. Animal behaviorists Keller and Marian Breland solved this problem over 50 years ago by designing an auditory marker, in this case a whistle, which would signal precisely the instant a dolphin hit her mark. In 1984 behavioral biologist Karen Pryor published “Don’t Shoot the Dog”, a book that has since revolutionized the dog training world, in which she extrapolated the work with marine mammals to apply to virtually any animal. Pryor was an early adopter of reward-based positive reinforcement, with clicker training an integral element. Today most animal trainers are using marker training because it teaches new behaviors about 50% faster than older methods. 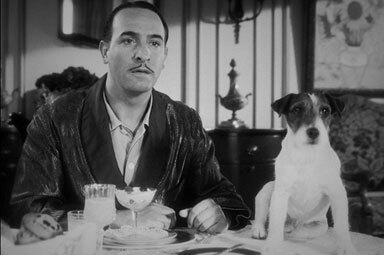 Pretty much any animal actor you’ve seen in recent years has been (quickly) clicker trained for their starring roles, including the pigs and sheep in the film “Babe” and, more recently, Uggie the Jack Russell Terrier, who stole his every scene in “The Artist”. Dogs (and dolphins) live in the here and now and unlike humans do not dwell in the past or future. For a dog to mentally link an action with a reward, the reward must be delivered within one-half second of the behavior you want him to learn and repeat. Given a food reward five seconds late, in the dog’s mind there is no longer a connection between the action and the reward; he’s simply getting some food. The initial “conditioning” exercises—which pairs the clicking sound with a food reward—takes about four days, with several two-to-three minutes sessions per day. Using a small inexpensive ($3) plastic and metal noisemaker, all you do is click the instant your dog receives a tiny morsel of valuable food. That’s it. During each short conditioning exercise, the click/treat is repeated 15-20 times in quick succession. Now you’re ready to pinpoint behaviors in a way that your dog clearly understands. From here on out there is a lag between the click—marking the desired behavior—and the treat. Every single click is always followed by a treat, even if it takes a few seconds to deliver. In fact, the period between the click and the treat is a highly enjoyable time for your dog. Like a kid before Christmas, anticipation is half the fun! Think of the sequence as click-then-treat. Folks are sometimes wary of clicker training at first. Who wants to carry a clicker around forever? Ah, but you don’t have to carry it around at all, let alone forever: the clicker is used only during short (5 minute) training sessions to teach brand new behaviors. Once your dog is reliably performing an action on cue—a visual signal and/or a verbal command—the clicker is taken out of the picture, and then food rewards are faded. For simple behaviors, you might just use the clicker for a day or two. To teach more a complex (and highly useful) “chain” of behaviors, such as having your dog retrieve a beer from the refrigerator, the clicker is used to mark each step in the sequence. Either way, by marking precisely the desired action in real time, your dog will learn twice as fast. And once a step becomes second nature—he opens the refrigerator door just because it’s fun and pleases you—the clicker is retired. One further point on the use of clickers: I encourage my clients to give it a try. If it feels like too much to juggle, they’re free to use food rewards alone. You can pick it back up anytime, say, when your puppy is a dog and you’re ready to teach tricks. Dogs with clicker training under their, um, collars will remember and immediately respond. In clicker training we often mark a behavior in a short form to develop one far more complex. Early actions are mini versions of larger behaviors, the clicker used as a scalpel to hone and refine. For instance, a dog lifting a paw to touch a cone is the beginning of a wave; a dog sinking its shoulders to lie down is the beginning of a bow; a paw touching an object is the opening to push, roll, flick, pick up, or rotate that object. You can find instructions and videos on the web for using clicker training to teach pretty much anything you can think of. But the sky truly is the limit: Anything your dog can (safely) physically accomplish can be taught via tiny increments, progress distinctly marked with the clicker, the ante upped until the end result is achieved. Finally, the following is a video of Donna Hill clicker training to perfection a bird dog retrieving to hand. This is significant because old-school training of gun dogs was particularly brutal. This shows expert use of the clicker as a tool to shape a complex behavior, one gentle step at a time.